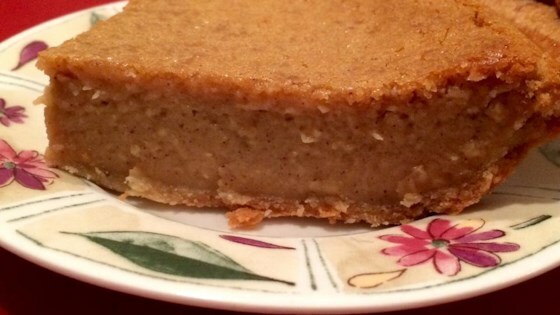 "This is a traditional Muslim bean pie that most people have never had and even more have never made. Made with navy beans, it is surprisingly a wonderful dessert. Once you've had it, you'll love making it. There are only a few recipes for this pie and it took me years of tweaking other recipes to come up with one that actually makes an edible bean pie. This recipe you can trust to make an awesome dessert." Preheat oven to 450 degrees F (230 degrees C). Place pie crusts into 9-inch pie dishes. In a food processor, place the navy beans, evaporated milk, melted butter, cinnamon, nutmeg, flour, sugar, vanilla extract, eggs, and egg yolks; pulse the mixture a few times, then process until smooth, about 1 minute. Pour the filling into the prepared pie crusts. Bake at 450 degrees F (230 degrees C) for 15 minutes, then reduce heat to 350 degrees F (175 degrees C) and bake until the filling is set and the crust is golden brown, an additional 35 minutes. Cool before slicing. Eat warm or cold. Refrigerate leftovers. I am not sure what I was really expecting taste-wise, but this was not a very good tasting dish at all. The texture is heavy and dense, the flavor far too bean-y. Won't make it again. Fantastic! And very easy! I will make this for Ramadan this year. I've always wanted to make Bean Pies for my family and your recipe made it possible. It was quick and easy. However I didn't use as much sugar the 2nd time I made them but they came out great.